If you are keen to declutter and become organised, you’ll have heard of Marie Kondo and the KonMari Method. Fascinated by organisation since her childhood, Kondo has run her tidying consultancy since the age of 19. Nowadays, she’s an author and star of her own Netflix series, helping people around the world transform disorderly homes into spaces of serenity and inspiration. Kondo’s message is a simple yet effective one; only keep things in your home which bring joy to the heart. 6)	Keep those items which spark joy within you. Following the same principles, organising your home and everyday life can help keep your head clear and allow you to be more joyful and carefree in 2019. Leading high street retailer, Ryman Stationery has an array of ideas, suggestions and simple tips to help you keep on track and stay organised for the year ahead. So when using the KonMari Method, you’ll be sure to keep on top of your fresh approach to organising. After a lavish Christmas with presents overflowing, home storage can suddenly become not only a priority, but a necessity. Keeping your household tidy and clutter-free is a fabulous way to get your home or office back in order. Sometimes bigger is better. 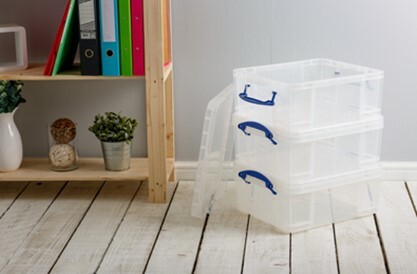 This Really Useful Box 35 Litre (£13.99 or 3 for £27.00) provides the perfect storage space for papers, documents or objects that you can’t be without. Available in four colours, this box is guaranteed to suit everyone, whatever your preference. If a multi-purpose storage solution is what you are after, nothing beats the Really Useful Storage Box 84 Litre Bonus Pack (£29.00). Including five solid, stackable boxes with clip-lock handles, the contents of each box will be contained securely, no matter what you choose to use them for. Featuring one 84L, one 35L, one 9L and two 3L boxes. 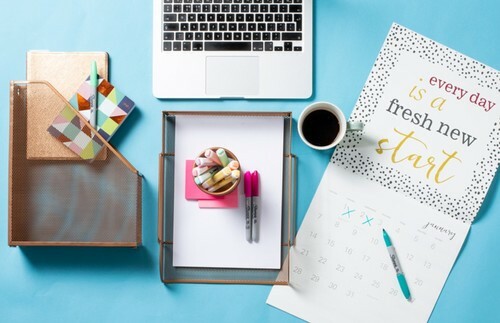 Whether you need to get organised at home or at work, you won’t go far wrong with a set of drawers to file and order important documents and files. Why not add a touch of fun to your organisation with this delightful Really Useful Storage Drawer Unit Pastel 6 x 7 Litre (£29.99). Featuring six drawers, each with a seven-litre capacity, these pretty pastel drawers will make a charming addition to a bedroom, study or office. For grown up administration, the Bisley Filing Cabinet 2FE 2 Drawer Steel (£269.99) makes the ideal storage solution for papers and files. Perfect for your study, the office or for students needing to keep on top of their work. Not enough space on your smart phone or tablet to keep all of your files in one place? Use one of these Storage Options 64GB Airstore Personal Cloud Storage (£79.99) to hold items together in once, secure space. Backing up your work and files is a necessary ‘to-do’ and relying on paper can’t always mean your documents are safeguarded. You can rely on the Seagate Expansion Portable External Hard Drive 1TB USB 3.0 (£49.99) to guarantee photos, essays, reports or emails are protected, even if your computer fails. This press release was distributed by ResponseSource Press Release Wire on behalf of Ryman Stationery in the following categories: Children & Teenagers, Men's Interest, Entertainment & Arts, Leisure & Hobbies, Home & Garden, Women's Interest & Beauty, Education & Human Resources, Media & Marketing, Retail & Fashion, for more information visit https://pressreleasewire.responsesource.com/about.